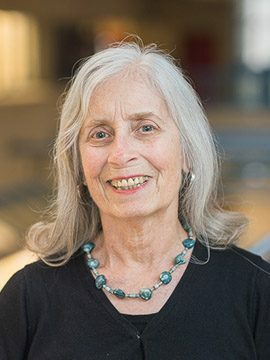 Dr. Ann Cameron is Honorary Professor in Psychology at the University of British Columbia; Emerita and Honorary Research Professor at the University of New Brunswick, where she taught and conducted research for over three decades; and Affiliate Member at the University of Victoria. In collaboration with colleagues in China, the US, and Japan, we are conducting cross-cultural studies of the development of verbal deception and truth telling. When values regarding such matters as modesty, patriotism, friendship, etc. collide with honesty, what decisions do children and youth make? With a different methodology we are studying thriving in early childhood, the transition to school, adolescence and older adulthood in diverse locations around the globe. We have developed specifically for these investigations, a “Day in the Life” ecological procedure wherein we film one full waking day of a participant’s life in their homes, schools and communities. Our book, ‘International perspectives on early childhood research: A day in the life’ was published in 2010 by Palgrave Macmillan and translated into Italian in 2015 and a new book in Portuguese reporting on the use of the methodology is in press (2018). We continue to examine gender as a factor in youth perspectives on healthy and unhealthy intimate relationships. Our newest research examines collaborative, reciprocal learning of Indigenous-inspired themes by non-Indigenous children. Stella, C. & Cameron, C.A. (Eds.). (In press, 2018). Psicologia do desenvolvimento: ‘Um Dia na Vida’ de pessoas de bem-sucedidas: Metodologia da pesquisa audiovisual em psicologia transcultural, educação e comunicação. Gillen, J. & Cameron, C.A. (2018). A importância do vídeo etnográfico no projeto “Um Dia na Vida”: Um caso de castores e cidadania. In: C. Stella & C.A. Cameron, C.A. (Eds.). Psicologia do desenvolvimento: ‘Um Dia na Vida’ de pessoas de bem-sucedidas: Metodologia da pesquisa audiovisual em psicologia transcultural, educação e comunicação. Cameron, C.A., McKay, S., Susman, E.J., Wynne-Edwards, K, Wright, J. M. & Weinberg, J. (2017). Cortisol stress response variability in early adolescence. Journal of Youth and Adolescence, 46(1), 104-120. doi: 10. 1007/s10964-016-0548-5. Kubiliene, N., Jenkins, S., Gouliquer, L., & Cameron, C.A. (2016). Agency and communion in a Day in the Life of a thriving older adult. Journal of Religion, Spirituality & Aging. 1-17. doi: 10.1080/155280030.2016.12207878. Cameron, C.A., Hunt, A.K., Pezzica, S., Phillips, L., Heydon, R. & Kumpulienen, K. (2014). Children shaping their identities as readers and writers: A Day in the Life of children in transition to school. Childhood Explorer, 1(4), 22-25. Cameron, C.A., Pinto, G. & Tapanya, S. (2014). Scaffolding one Thai youth drawing toward resilience. Culture & Psychology. 20(4), 453-479. Toselli, M., Pinto, G. & Cameron, C.A. (2014). Un giorno nella vita di un bambino. Continuit. e discontinuit. nella transizione dal contesto familiare al contesto scolastico. Psicologia dell’educatione, 8(2), 239-252.